We provide excellent service & experience & use only top quality name brand supplies for your car repairs. In Westland, we are located at Wayne and Cherry Hill, Michigan. Check out some of our auto repair shops photos! We pride ourselves in customer service & we always work hard to ensure we provide the best customer experience. As our way of saying thank you, we give you our auto repair service best deals! Click here and start saving! Call Us Today! 734-721-2800 • Phone Call Available 24/7! Mr. Muffler of Westland specializes in car maintenance services including brake repair/replacement, complete exhaust system installations and repairs, custom exhaust system design. At Mr. Muffler we offer a variety of normal maintenance services including shock and strut work, electrical work, engine repair, transmission servicing, A/C services and repair, radiator flushes and front end work. 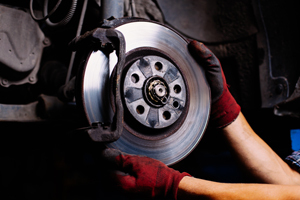 Mr. Muffler and brakes is known for excellent auto service and repair. Your One-Stop Source For The Best Auto Repair Service and Maintenance in Westland. Our trusted local technicians have years of experience on handling any auto repair service and maintenance to keep you running trouble free. Located in Westland, Mr. Muffler, we use the very latest in auto repair technology to make sure your car is returned to factory standards. If you reside in Westland, Michigan or a surrounding community, chances are your commute to work includes starting up a car and being on your way. Many car owners are driving older model cars that need auto repair maintenance every once in a while. Even those who are driving brand new cars may need an oil change or brake replacement after a short time. Regardless what what you drive, Mr. Muffler of Westland provides high quality auto repair services in Westland, Michigan. As a full service auto repair shop in Westland, we do it all! From 10 minute oil changes to AC services, even transmission services or engine repair! Our goal is to provide you with honest and dependable auto repair service & maintenance on your vehicle. There are many competing auto repair shops around Westland that just want you to keep coming back. To make this happen they will do a poor auto repair job, or lie about what needs to be done. That is 100% unacceptable at Mr Muffler of Westland. We get the job done right the first time and hopefully, although we love all of our customers, we do not have to see you for a while. If we aren’t seeing you, that means we did a good auto repair job and your vehicle is running great! If you see something that is not on our list, contact us today to find out how we can help you. 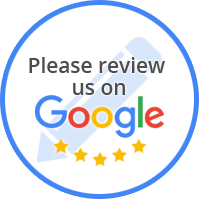 We guarantee high quality and honest auto repair service each time you step through our door. Be sure to mention you saw us on the web to get $10 off any service over $50 (does not apply to oil changes).